Assurety Consulting is now an associate member of the Universal Postal Union's .POST project, helping to lead development of the primary forum for global communication in the postal industry. Our firm is committed to the business transformation of the postal and parcel logistics industry. 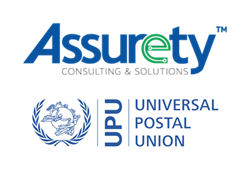 Assurety Consulting, Inc., a Virginia-based consultancy to the postal industry, is now an associate member of the Universal Postal Union's .POST project, helping to lead development of the primary forum for secure global communications platform in the postal industry. Formed 145 years ago in 1874, the UPU is the primary forum for cooperation between national posts and mailing organizations, working to ensure a truly universal network of up-to-date products and services. The UPU’s .POST initiative establishes a top-level domain (TLD) for the postal industry and centers around the development of a global network of electronic postal services. The .POST TLD is controlled by the UPU and is intended for use as a secure, interoperable space where electronic services like identity management, payments, retail, and advertising mail can interact at a global level. The .POST TLD counts 49 countries among its membership, but its development and growth are stewarded by five associate members including Assurety Consulting. Assurety’s deep experience as a partner to the USPS and Idealliance and in the development of key digital platforms and governance related to the Mail.dat and Mail.XML mailing standards uniquely poises the company to accelerate .POST’s globally important mission. In addition, the international nature of Assurety’s business (with offices in Washington DC, Toronto, Casablanca, Kuala Lumpur, Karachi, and Dubai) will position the company as a liaison between government and commercial stakeholders at the global level. "Our firm is committed to the business transformation of the Postal and Parcel logistics industry," explained Assurety CEO Shariq Mirza. 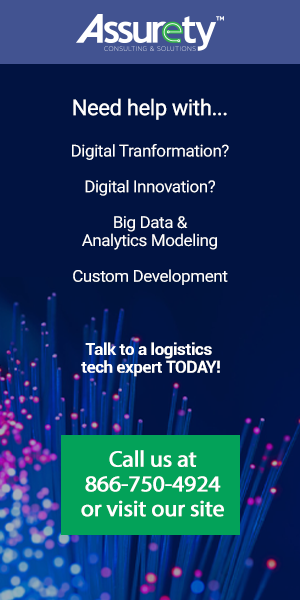 "In our decades of work with commercial mailers, the USPS, logistics, marketing, and communications organizations, and emerging posts around the world, the central theme has been governance, strategy development, and strategy optimization through digital transformation and digital innovation. We are the post and parcel data experts and UPU's .POST is a natural place for us to continue this focus." As digital and electronic services continue to grow in importance to consumers and the postal industry, mailers, posts, and industry alliances all seek to maximize opportunities and develop new standards of digital communication. Assurety Consulting’s .POST Associate Membership reflects a legacy of investment in and development of technological standards for the benefit of the entire post and parcel community. Visit the online portals of Assurety Consulting and the UPU for developments concerning .POST and progress toward a globally unified mailing industry. Assurety Consulting has served as a consultant to the USPS, Ideallaince, logistics, marketing, and communications organizations and emerging posts around the world. As postal and parcel data experts, the Assurety team specializes in governance, strategy development and strategy optimization through digital transformation and digital innovation. Assurety was recognized by the US Smithsonian Postal Museum for its significant contributions to the postal ecosystem in the United States. Assurety Consulting and Solutions Inc.
Graphic detailing service offerings from postal logistics consultancy Assurety Consulting.Visit http://bit.ly/digitalposts to learn more about Assurety Consulting's work with posts and mailers across the globe.